I admit, I still like a lot of ballpoints, and I carry several with me most of the time. 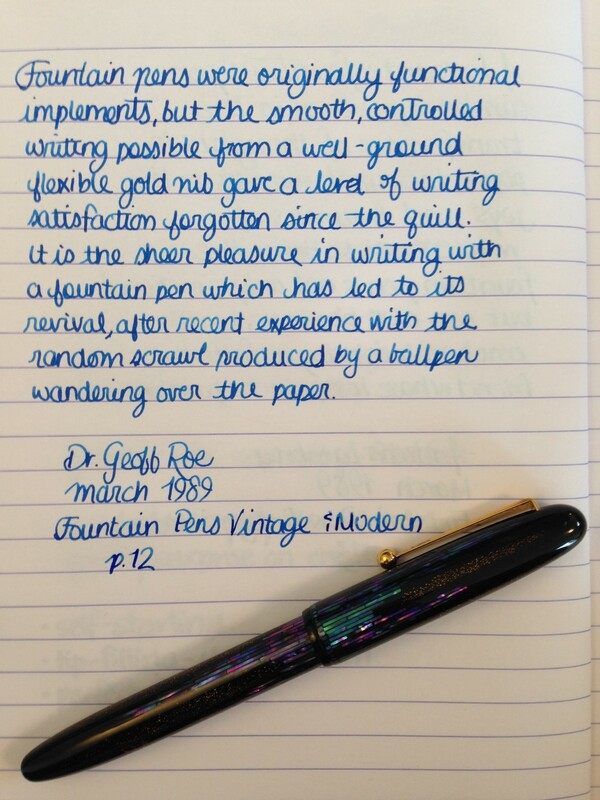 Dr. Roe is right though: the feeling of writing with a smooth, well-ground flexible gold nib is unreal. The sensation of a nib gliding across paper is magical. I love it. This entry was posted in Vintage Pens and tagged Handwritten Post, Namiki, Quotes. Bookmark the permalink. Follow any comments here with the RSS feed for this post. Post a comment or leave a trackback: Trackback URL.